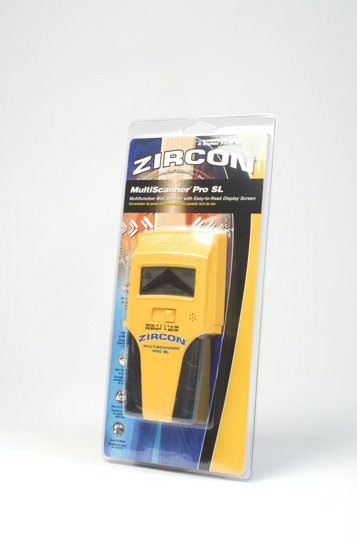 The MultiScanner Pro provides all the features and performance of the Stud Sensor Pro with the additional capability of deeper scanning (up to 1-1/2" deep), constant AC detection of unshielded wire and metal locating for metallic plumbing and rebar. Use the MultiScanner in deep-scan mode to help detect ferrous metal such as rebar in concrete up to 3" thick. We have tried them all. This is one of the best stud sensors you can buy! Features DEEP SCAN Mode for Constant AC detection.